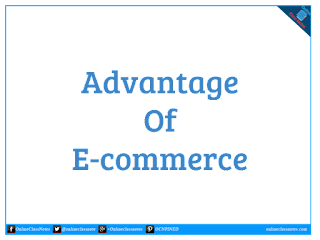 E-commerce or Electronic Commerce is a modern way of business. Transaction in case of buying or selling a product or service through electronic devices and internet connection is E-commerce. In E-commerce, the buyer and seller can not only communicate with each other but also the buyer can pay and the seller can receive payments through internet connection which can be called electronic payment service. 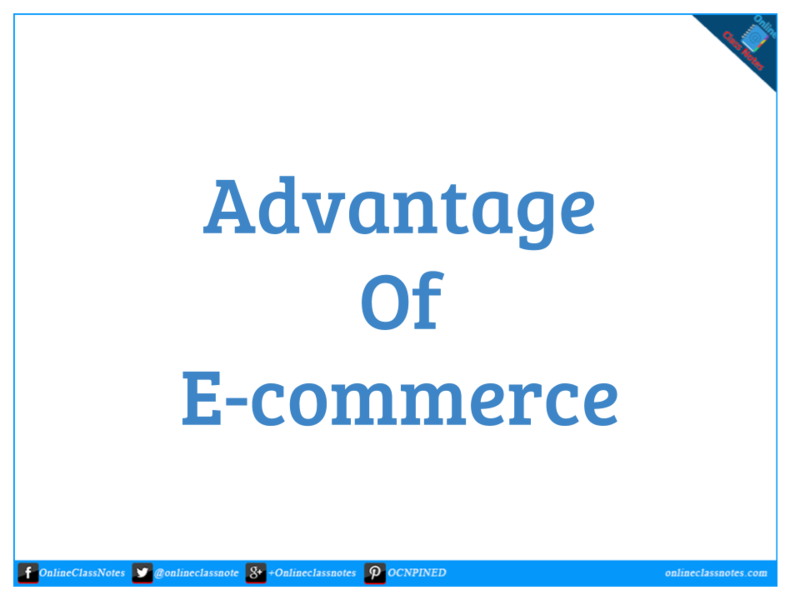 Here is a list of 12 Advantages of E-commerce. In e-commerce, payments are made electronically which is called e-payment. E-payment may include payment using cards, cellphone, Electronic Fund Transfer etc. All this features take less minutes to half an hour for a successful transaction and acknowledgment of transaction of any amount with minimal charge which obviously far less than a manual payment. In e-payment, the cost of transaction or charge for transaction is very low if compared to manual transactions. Very small amount of time, no use of papers, no need of employee to create transaction document etc. help in reducing the cost of transaction. In case of e-commerce, a seller doesn't need a shop to display all his/her product, s/he only need a place to store the products until delivery, so less cost of space. If the seller sells third-party products then s/he will not need any storage at all. Operating an e-commerce website is very cheap, emails are free, so there is no cost also. This is helpful for buyers also, as they don't have to visit a shop so they can save time and money, rather they can visit many more stores online in e-commerce and find their desired product or service and then can order and pay for it right from the place where s/he is. Many buyers who work in a tight schedule can not find time for shopping as they struggles for time management on the way to home and office. Therefore it is very helpful that they can do their shopping right from the office in 10-20 minutes by visiting e-commerce websites and ordering products. In this way, they do not need to leave office early or entirely miss a day just for shopping. Businesses need to communicate with each other to make business deals with each other. But earlier this had to be done initially by phone calls, mails and visiting physically. Now, they can do this a lot faster and obviously in less expensive way by visiting websites to know about businesses and communicate free over e-mail to share documents. All this features omits the limitation of distance and brings businesses closer. Technology now enables people to do video conference which enables people to be in separate place but still discuss and see each member of the meeting live. So business decisions can be made faster which is required for the growth of a business. All sales, supply etc. documents can be viewed and analyzed all the time through online which enables transparency as these documents will be generated by computer systems which will have less chance of alteration. E-commerce service can provide better customer service. Buyer can read FAQ about a product or service online which is always available without any wait, they can also chat online with customer service as one customer service operator can serve multiple buyer at a time which enables faster information. As businesses can view each other products and study their description along with prices, the competition among them will increase to provide better product or service in lesser price. E-commerce is creating new employment opportunity as web developers and designers are required to design and develop e-commerce websites and applications, IT persons are required to maintain the system, customer service providers are required to provide supports etc. E-commerce facilitates businesses to advertise their product for marketing purpose which has a global reach. This is easy, less expensive and has more reach than advertising on paper. In E-commerce system, a buyer can search products and can also filter found products by various factors, which helps to compare product's price and specification. This process takes very small amount of time than visiting different outlets to do the same thing. Then the buyer can order the product instantly including making the payment right away.